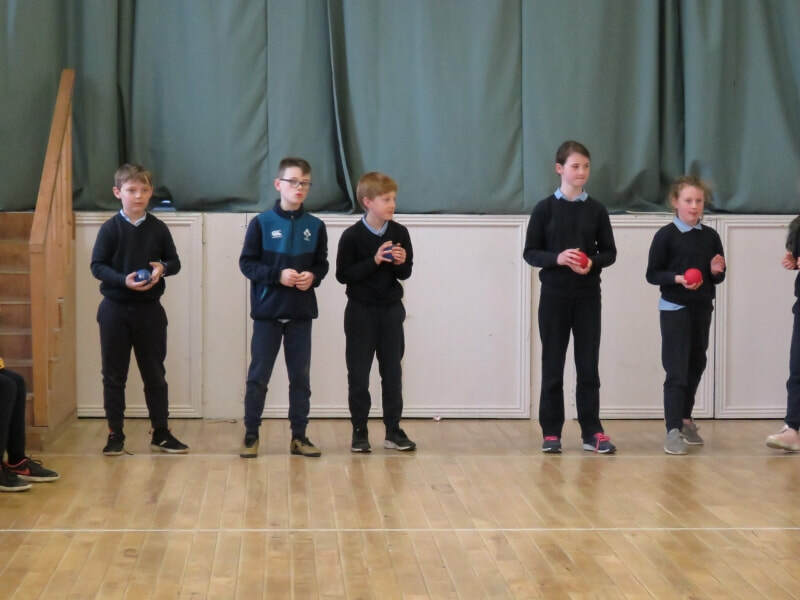 As part of our Active Flag programme, we are further developing our partnerships with other schools and groups in the local community. 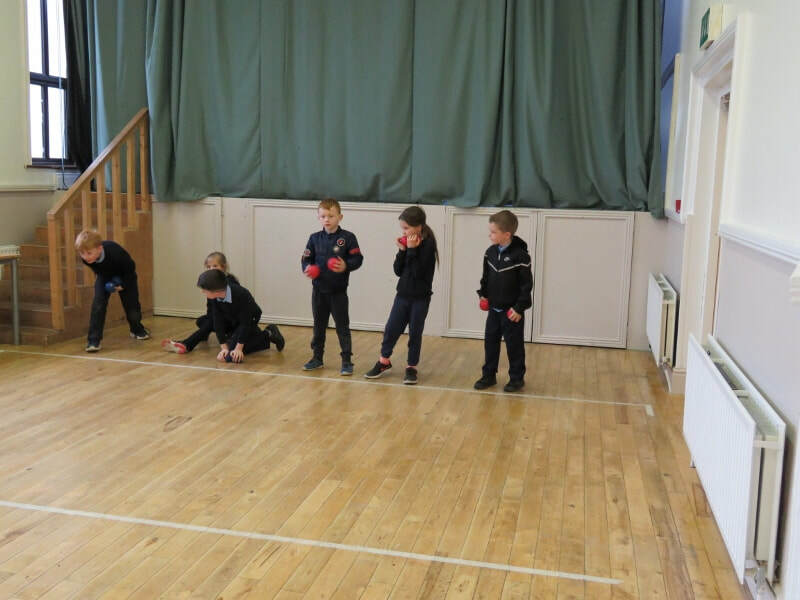 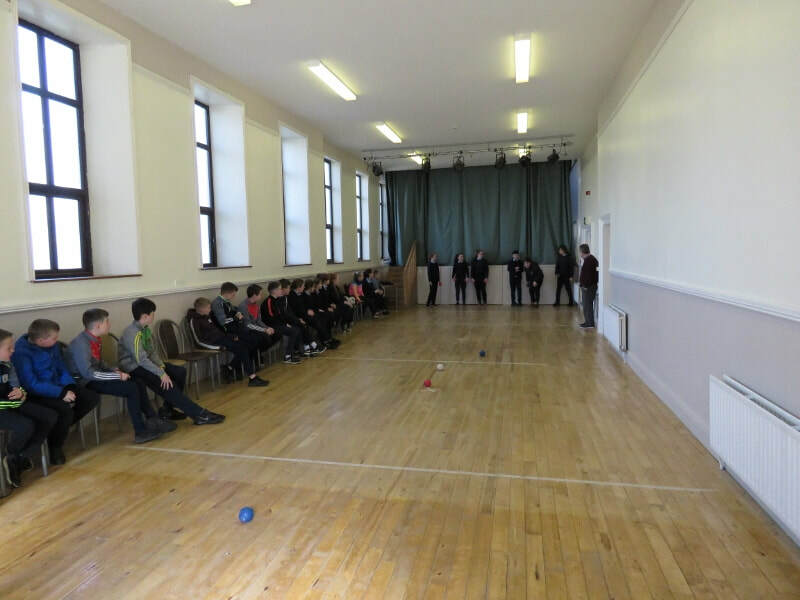 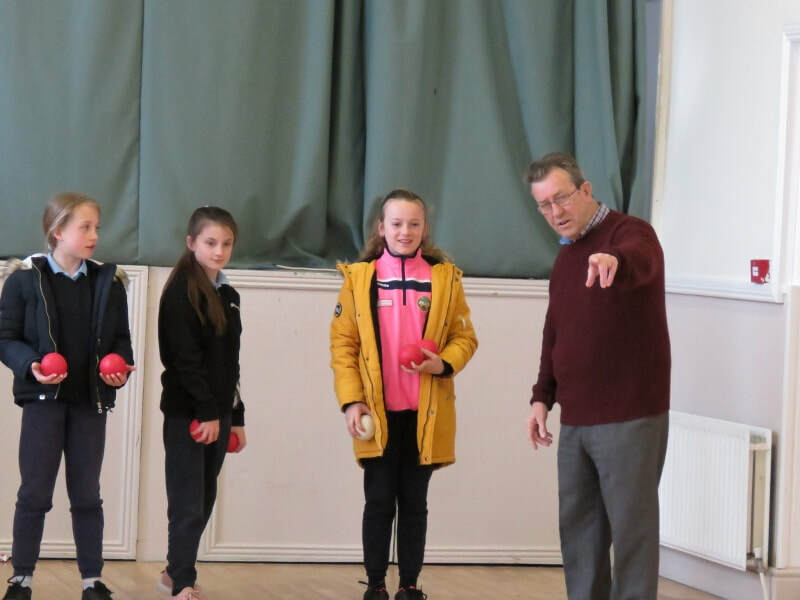 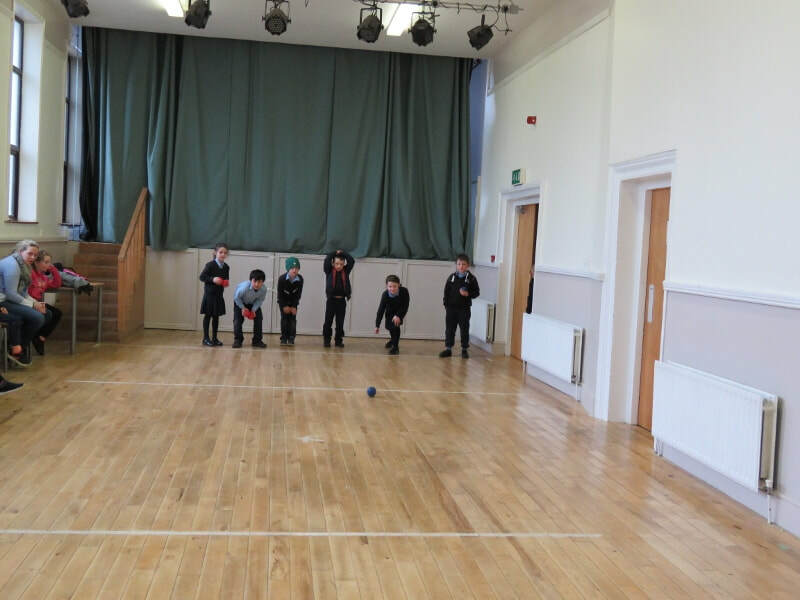 The local Bocca team invited us to Clonbullogue Hall on April 1st to learn about the game of Bocca. 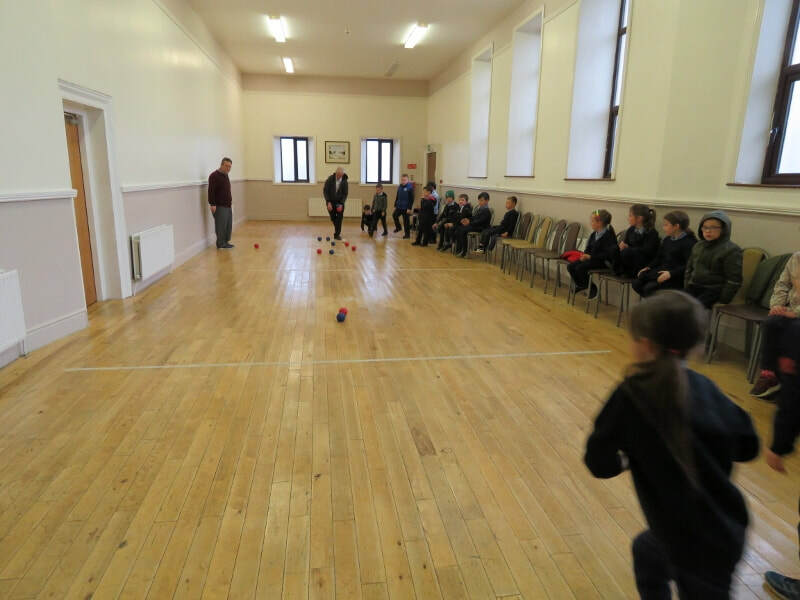 Thanks to Tommy and John. 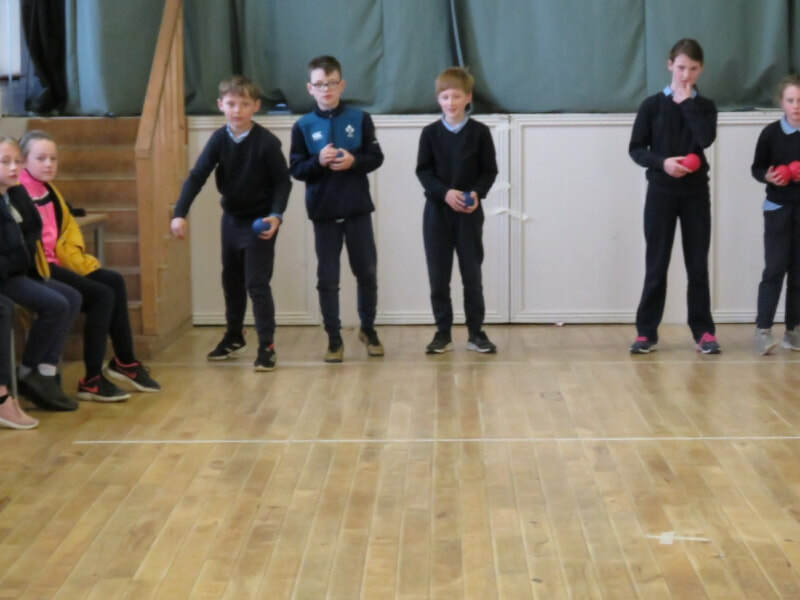 We appreciate greatly the support offered to us by Clonbullogue GAA club, both in terms of allowing us access to their playing facilities and walking track, and in helping to finance a GAA coach for the school, in association with the Offaly County Board. 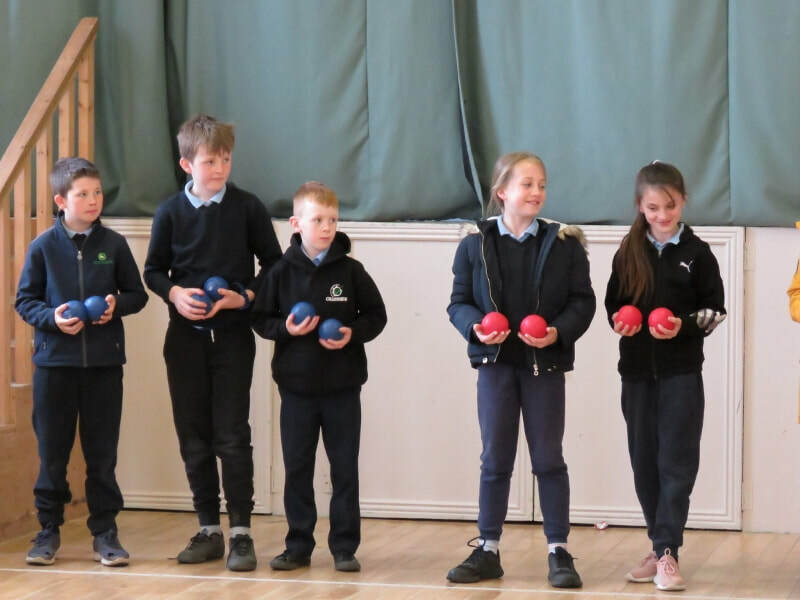 Our boys' and girls' football teams participate in the Autumn and Spring competitions organised by Cumann na mBunscol. 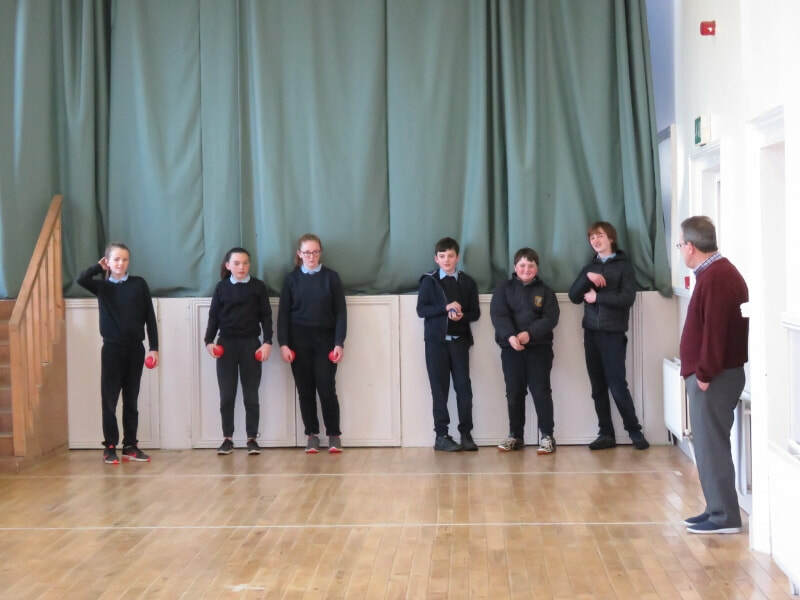 Travelling to other schools, and inviting schools to Clonbullogue helps us build partnerships with other schools.